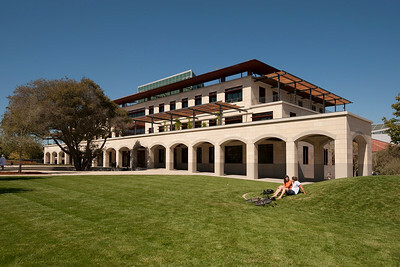 The Center for Nanoscale Science and Engineering, the third building to take shape in the new Science and Engineering Quadrangle. 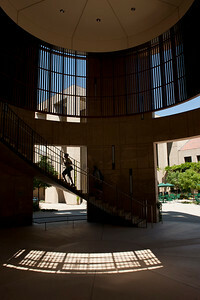 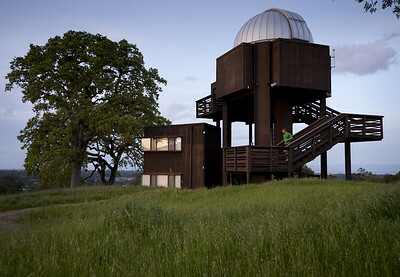 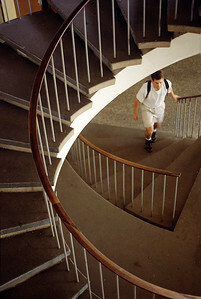 A student jogs the stairs at the Student Observatory. 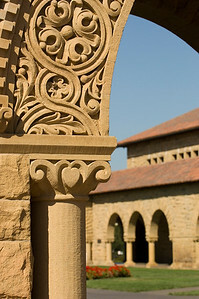 Architectural detail of the Stanford Quadrangle. 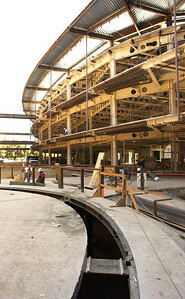 Construction has begun on the 112,000-square-foot Bing Concert Hall rising up at the east end of Museum Way, facing the Cantor Arts Center. 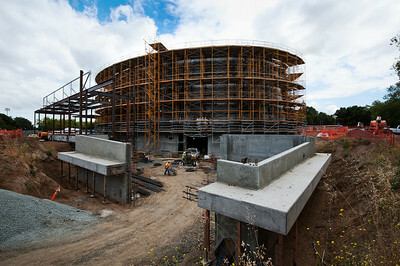 Bing Concert Hall, under construction. 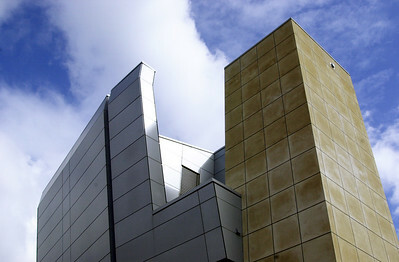 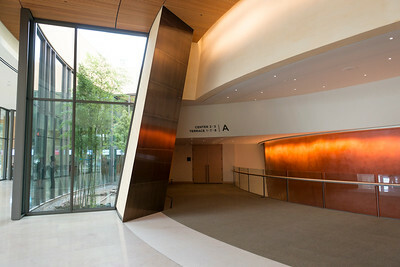 Bing Concert Hall. 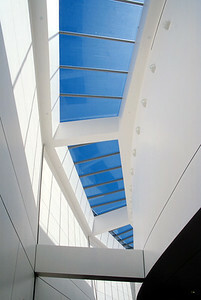 During an event held to introduce the building to journalists. 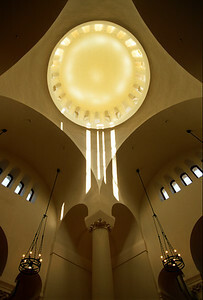 A panel discussion and Q&A session with the lead architect, acoustician, muscians, faculty, and directors was held onstage with the press. 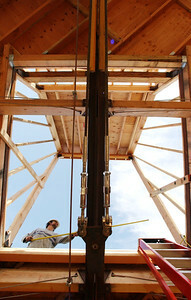 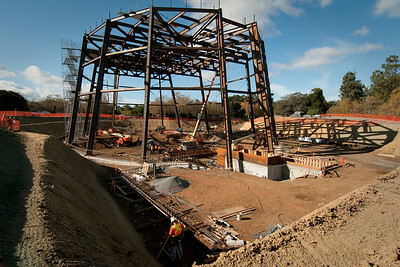 The Leslie Shao-ming Sun Field Station located in the Jasper Ridge Biological Preserve is shown here under construction in January of 2002. 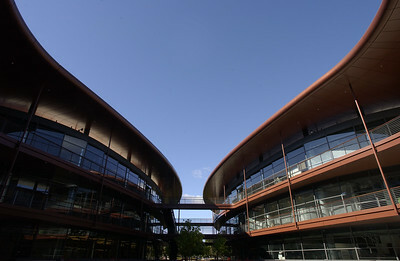 John A. and Cynthia Fry Gunn Building. 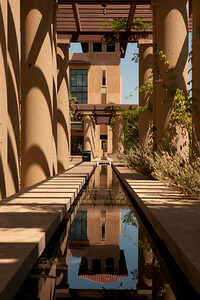 Water feature beneath pergola. 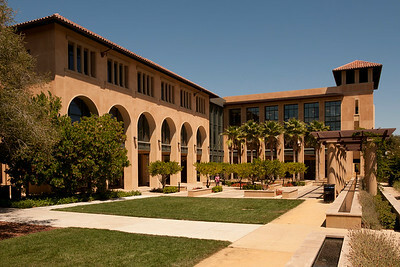 John A. and Cynthia Fry Gunn Building. 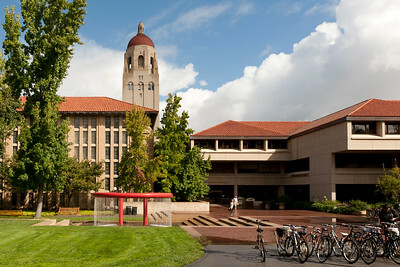 Green Library against a cloudy sky with Shumway Fountain in the foreground and Hoover Tower in the background. 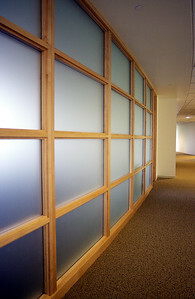 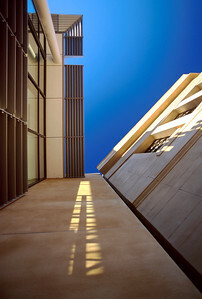 The multi-tiered walkways that surround the courtyard of the Clark Center allow the viewer many different vantage points of the building's design and the cutting edge research occuring just behind the glass. 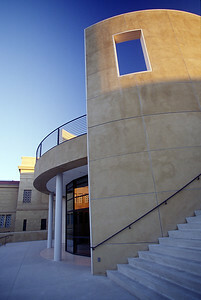 New meets old where the Cantor Art Center expansion meets the old edge of the Stanford Museum of Art. 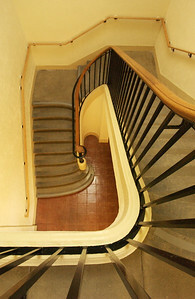 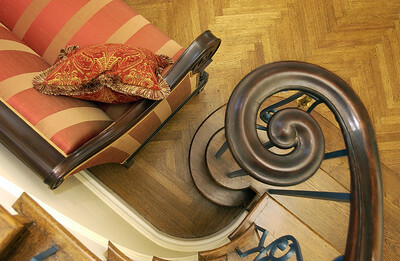 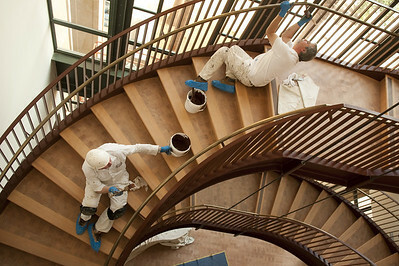 A curved wrought-iron staircase graces the foyer. 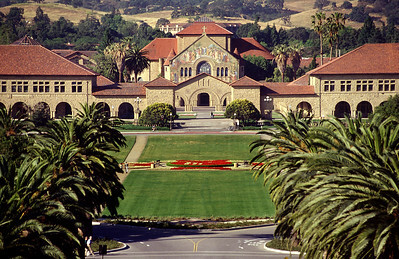 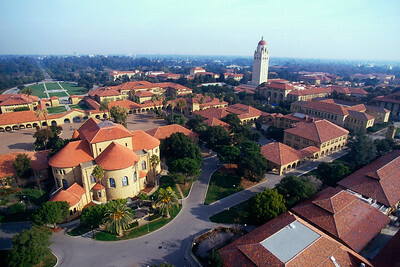 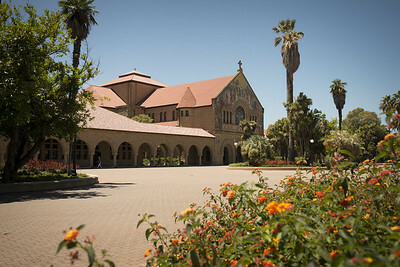 Stanford Memorial Church and Main Quadrangle. 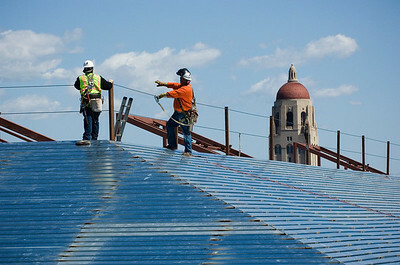 Welder Mario Jiminez in orange. 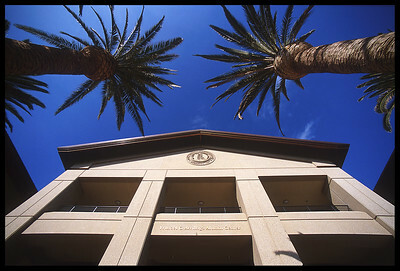 Eco-friendly and efficient, the Jerry Yang and Akiko Yamazaki Environment and Energy Building is going up on campus at the corner of Via Ortega and Panama Street. 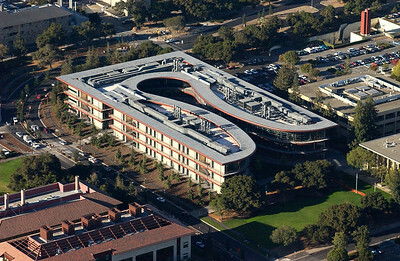 Aerial view of the James H. Clark Center. 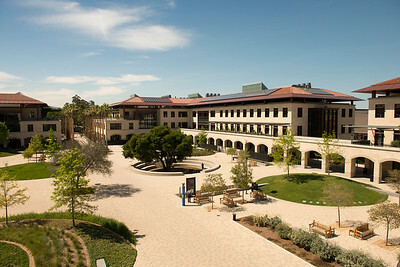 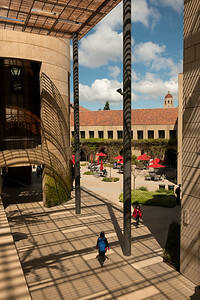 The courtyard of the Stanford Law School as seen from the balcony of the Neukom Building.